Excluding cars still on 5 and 7 year manufacturer warranties, Warranty Direct lists the MPVs and SUVs on which it has had to pay out the least. 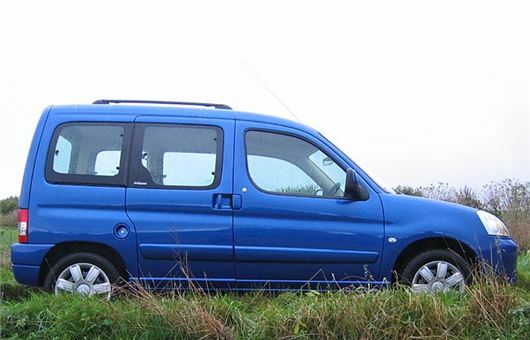 So, with the KIA Carens, Toyota Verso remaining under manufacturer warranties, the MPV on which it has had to pay out the least in aftermarket warranty claims is the original 1997-2008 Citroen Berlingo Multispace. Similarly, excluding the current KIA Sportage, current Hyundai ix30 and late previous model Toyota RAV-4, the SUV that cost Warranty Direct the least is the Suzuki SX4. Warranty Direct analysed data from more than 50,000 live policies to compile a chart of its best-performing MPV and Crossover models. Warranty Direct’s unique Reliability Index (www.reliabilityindex.com) takes into account factors such as how frequently a car breaks down, typical repair costs, how long it takes to fix and average age and mileage. The lower a car’s Reliability Index, the more reliable it is. According to the figures, Warranty Direct's best-performing MPV is the 1997-2008 Citroen Berlingo Multispace, with fewer than two in 10 models experiencing a fault in any given 12-month period. Citroen has three entries in the MPV reliability chart as the huge-selling 2000-2010 Xsara Picasso ranks third and the current Berlingo Multispace eighth. Ford also has a trio of entries in the MPV top 10. The current Ford C-MAX (only our of manufacturer warranty for a year) takes the runner-up spot and its predecessor, the 2003-2010 Ford C-MAX, is ranked ninth. Tenth place goes to the 7 seat Ford S-MAX. Only vehicles still available new as recently as 2007 were included in Warranty Direct’s analysis and Japanese brands dominate the top of the SUV chart. Suzuki took top spot with the SX4 crowned the most reliable high-riding, two-wheel drive model. With the lowest breakdown rate and average repair cost in its class, the Suzuki SX4 finished comfortably ahead of the 2007-2013 Nissan Qashqai. The closely-related 2005-2010 KIA Sportage and 2004-2009 Hyundai Tucson fought it out for third place. Buyers torn between the practical nature of a family MPV and the rugged appeal of an SUV should take note that the top-performing MPVs in the chart logged an average Reliability Index of 73.9, compared to 111 for their taller-riding rivals. This trend was also reflected in other areas of the study - average repair costs for models in the MPV list was £309.33, compared to £349.40 for the best of their SUV counterparts. When it comes to individual faults, MPVs are most likely to suffer from electrical gremlins, accounting for an average of 29.6% of faults, while SUVs are most commonly afflicted by axle and suspension issues, responsible for 28.3% of faults. More information can be found at Warranty Direct’s www.reliabilityindex.com website. Warranty Direct (www.warrantydirect.co.uk) is the UK’s leading direct-to-consumer FCA regulated insurer for car, van and bike mechanical and electrical failures, with automotive cover starting from as little as £15 a month. I'd definitely recommend that statistical training course. Those numbers aren't rounded to the nearest 5% as you might expect at first glance. They're completely accurate because they're basing the reliability index and average repair cost on just twenty faults - 1/20th is 5%. Someone gets a two grand bill and suddenly the 'average' repair cost shoots up by a hundred quid. It's less obvious for the Suzuki SX4 but the recurring 588 might give you a clue. 5.88% is 1/17th and all of the other numbers are multiples of that - the Suzuki data is based on an even smaller number of just 17 reported faults. With numbers this small the error bars are going to be huge. A big fault in one single vehicle would cause the model to drop several places down the table. It may be that it's too much affected by simple chance to get much useful data out of it at all and they're certainly not numbers that should be quoted to pennies and single decimal places. So, they may have registered only 20 cases for the Berlingo MkI/II (MK. I up until 2002, then the 'Facelifted' Mk. II until 2008), but they have a list of at least 50 in their register. What they have, though, is a rheostat that wears out and finally fails after many years. Not all that expensive to fix, either.